The sun has set and the stars are out. It’s the perfect time to venture downtown, soak up the comfortable summer temps, breathe in the fresh air, lounge on a blanket or lawn chair and…watch a movie. That’s right this summer in the heart of Montreal’s entertainment district the Society for Arts and Technology (SAT) along with the Quartier des Spectacles and the borough of Ville Marie will be hosting sixteen free screenings under the stars at the Place le la Paix (Peace Park). The screenings are open to all, no tickets required. Just bring along a folding chair or blanket, maybe some refreshments, and get ready to relax and enjoy the show. Every Tuesday night starting at 9 PM a different film will be screened outside at the Quartier des Spectacles. Additional screenings will also be held on July 12 and 13th as well as September 26th. Each screening is presented courtesy of various local cultural organizations. The groups taking part make up a virtual who’s who of Montreal’s artistic community. They include organizations such as POP Montreal, the International Black Film Festival, Fantasia, and Cinema Politica. Festivities begin with a special Friday night screening on June 13th. The opening night film is sponsored by SPASM (an organization focusing on presenting the best in unusual genre films from Quebec and other French speaking countries). Things kick off at 7 PM with a cocktail party taking place at Foodlab’s rooftop terrace. Adding to the evening’s fun will be an appearance by professional make up artist Remy Couture. Before the 9 PM film Couture will work his magic by transforming one lucky volunteer from an ordinary person into a frightening brain eating zombie. In keeping with the Friday the 13th theme the night’s screening is made up of horror shorts courtesy of SPASM’s extensive archives. It promises to be an entertaining evening complete with a scary assortment of gory shorts guaranteed to please even the most die hard horror fan. The schedule for this summer’s downtown under the stars screenings includes an eclectic array of films including from genres ranging from documentaries to locally made Quebec movies, and even a cinema classic. 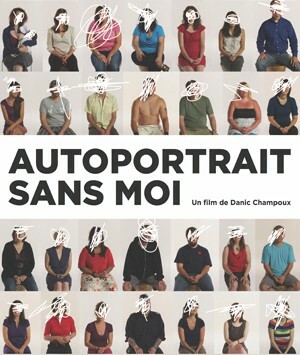 On July 15th, for example, Danic Champoux’s NFB film documentary Autoportrait Sans Moi, described as a human mosaic, will take center stage. The film is composed of fifty peoples of diverse ages, experiences, and backgrounds all sitting down with the filmmaker and candidly discussing intimate and deeply personal stories on subjects such as childhood issues, depression, faith, death, and love. On July 8th Gunnin’ For That #1 Spot will be screened. This 2008 documentary is presented courtesy of Film Pop (which focuses on presenting music related films). 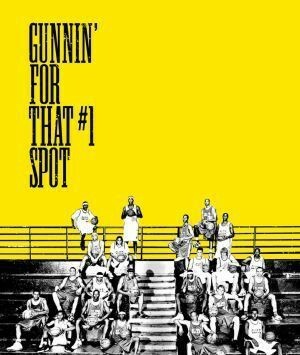 The movie follows eight U.S. high school basketball teams competing in the “Elite 24” all star tournament. The film was directed by former Beastie Boy Adam Yauch, who died of cancer in 2012. For classic film enthusiasts the Festival du Nouveau Cinema (FNC) will be presenting the critically acclaimed Wim Wenders film Paris, Texas on September 9. This haunting film, released thirty years ago in 1984, stars Harry Dean Stanton, Dean Stockwell, and Natassja Kinski. So if cheap night isn’t cheap enough or you feel like taking in something a little out of the ordinary why not head on over to the Quartier des Spectacle on Tuesday nights this summer? Not only is the price right but the ambiance is one of a kind. So pull up a folding chair, sit back, and enjoy the show.